Every day about 200 million people go on the Internet searching for information. If you've ever searched for information on the Internet, you know that search engines are incredibly inefficient. And if you do find the information you're looking for, it's not in a well organized, useable format. That creates an opportunity for you to provide digitally delivered information products. Why Would Anyone Pay for Information? What are the Best Selling Topics for Information Products? 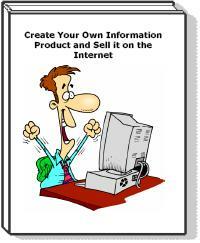 In this eBook you learn how to create your own information product. What are the best selling topics for information products? how to research your information product, how to compile your digital information product, and how to sell your digital information product on the Internet.